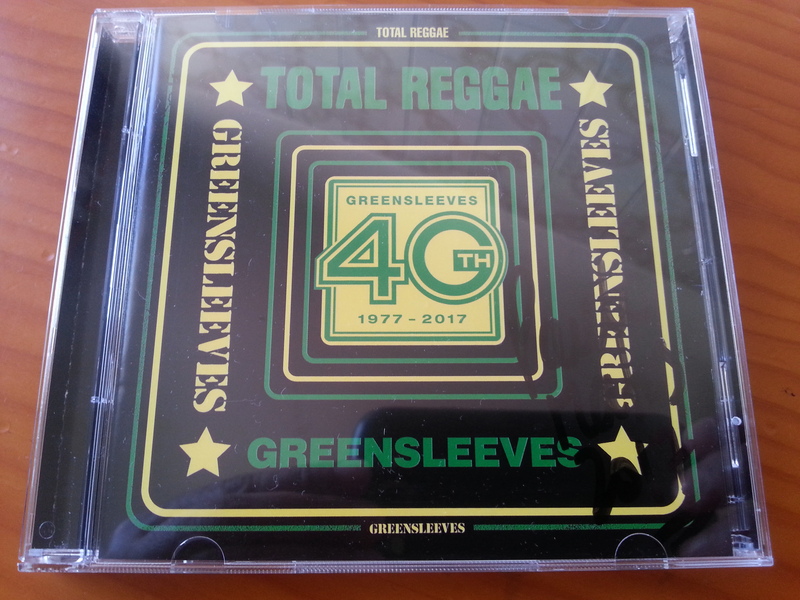 The ‘Total Reggae’ series latest release shines the light on the London reggae label Greensleeves. 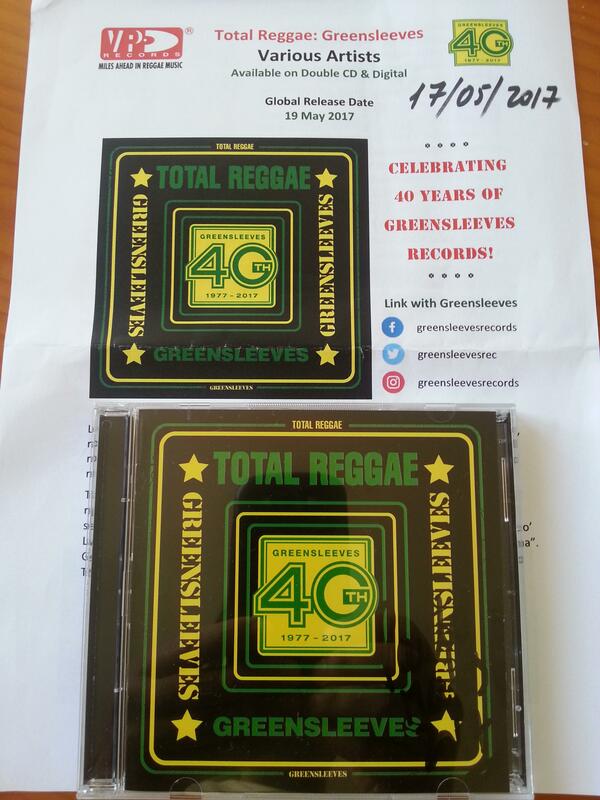 Subtitled ‘Greensleeves 40th – 1977-2017’ the double cd celebrates the label’s 40th anniversary. What started as a small record shop in Ealing, West London in 1975 – founded by the duo Chris Sedgwick and Chris Cracknell – is now regarded as one of the most important reggae labels in the world. They’ve been at the forefront of every emerging style of reggae over the past 40 years. From the roots and dub revolution to the digital revolution, from Dancehall to One Drop and from Ragga to Bashment…..you name it. 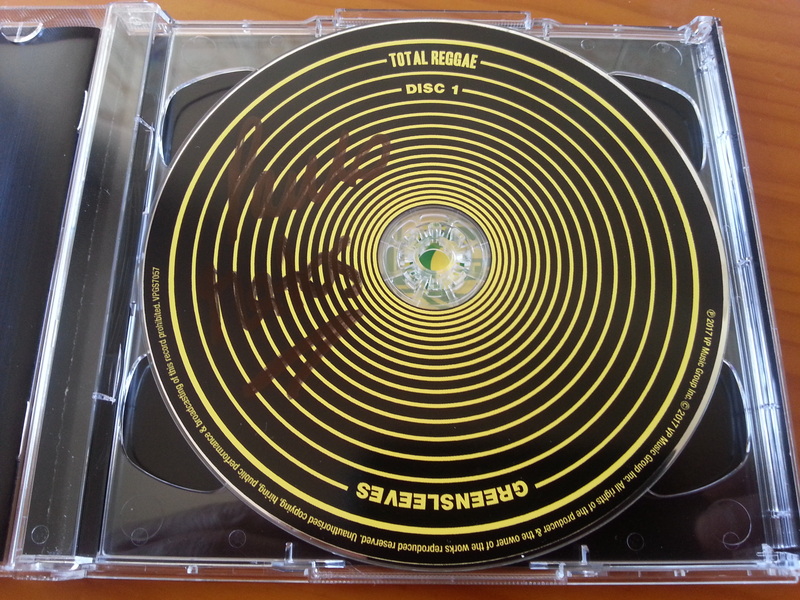 Besides some fantastic music the label is also known for great artwork. This ‘nice price’ collection features 40 tracks, drawn from the label’s massive archives. 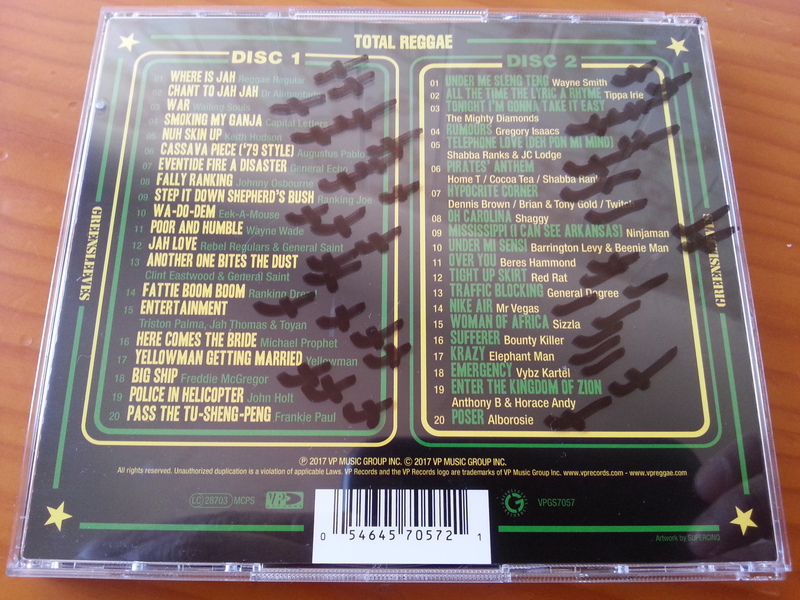 The collection offers a well balanced selection of reggae and dancehall tunes. For avid reggae fans this collection brings no surprises, it’s strictly a joyous walk down reggae memory lane! So many good tunes here, the label’s first 12 inch, the mighty Wailing Souls with “War” is rightfully included. “Another One Bites The Dust” by Eastwood & Saint held the top position in the UK Reggae Charts for an amazing 9 weeks and would become the Greensleeves’ all-time top-selling 12 inch. Eek-a-Mouse was a combination of singer and deejay, better known as singjay. Although “Wa Do Dem” was being banned, being considered too controversial, the tune became a huge hit. The deejay king of the early eighties was Yellowman aka Winston Foster. Here he contributes his hilarious tune “Yellowman Getting Married”. John Holt’s ganja anthem “Police In Helicopter” was extremely popular in those days, just like Freddie McGregor’s “Big Ship”, a tune that rocketed his career. Frankie Paul had his strongest moments in the eighties with albums for several producers. The ganja anthem “Pass The Tu Sheng Peng” is a fine example of the singer’s vocal qualities. The tune that sparked the ‘digital revolution’ in 1984 was Wayne Smith’s “Under Me Sleng Teng”. Recorded for Prince Jammy, whose total dominance of this new style ensured his rapid elevation to King Jammy. Gussie Clarke’s imprint ‘Music Works’ dominated the scene at the end of the eighties. With his crystal clear hi-tech productions he was on every reggae/dancehall chart all over the world. Particularly successful were JC Lodge’s “Telephone Love” ft. Shabba Ranks, Gregory ‘The Cool Ruler’ Isaacs with “Rumours” and “Pirates Anthem” by Home T, Cocoa Tea and Shabba. Not to be missed is Shaggy’s reworking of a traditional folk tune “Oh Carolina” and it climbed to the top of all charts worldwide. The three most important deejays of the nineties were Bounty Killer, Beenie Man and Sizzla, all still alive and kicking! Beenie Man’s joins Barrington Levy on “Under Me Sensi”. The ‘Warlord’ aka Rodney Price, or best known as Bounty Killer, brings his rendition of the Diwali riddim called “Sufferer”. The cultural deejay Sizzla cut some very noteworthy sides for Bobby Digital and other producers, check out the thoughtful, mesmerizing “Woman Of Africa”from the Firehouse Crew production unit. General Degree, an underrated deejay performs one of his best tunes here, “Traffic Blocking”, a lick pon the “Filthy” riddim from Main Street Records. The album closes in fine style with Alborosie’s 2016 tune “Poser”. Very Well Choosen Selection !